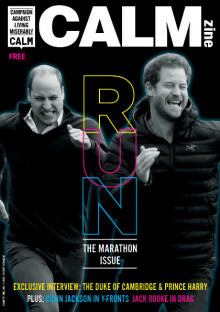 The Duke of Cambridge and Prince Harry talk Stormzy, men’s mental health and the British stiff upper lip in an exclusive interview for grassroots men's magazine CALMzine, published by male suicide prevention charity CALM. 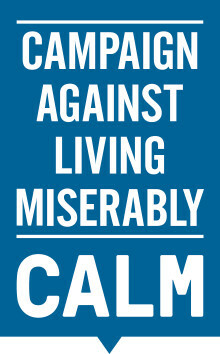 MPs to mark International Men’s Day (19th Nov) with inaugural Commons debate on male suicide. 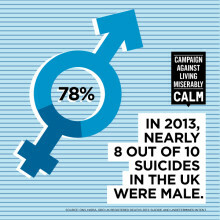 The move follows pressure by CALM to debate factors causing high male suicide rates. Suicide is the biggest single killer of men aged under 45. New poll finds 42% of men surveyed considered suicide. 49% didn't seek help 'cause they didn’t want people to worry, 43% didn’t want to talk about their feelings. 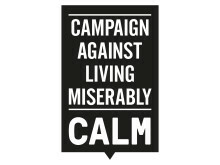 Statement from male suicide prevention charity, Campaign Against Living Miserably, regarding the recent Germanwings tragedy.